Accidental deletions are the bane of our digital existence. We’ve all been there, whether due to careless editing or being too quick to format a memory card. The good news is, deleted files can usually be recovered with a fairly high success rate — that doesn’t mean it’ll always work, though. 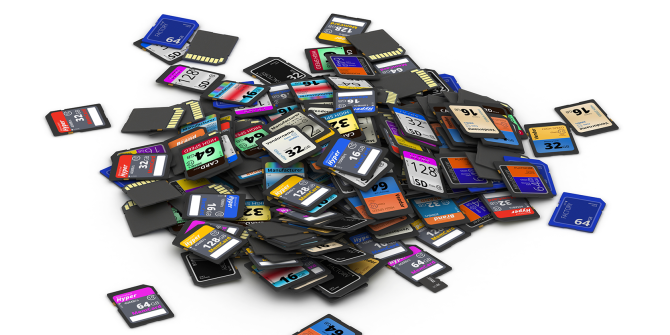 (It helps if you’re using the right SD card How To Choose The Right SD Card For The Job How To Choose The Right SD Card For The Job SD cards aren't all about storage! In fact, there are several other factors to consider, and when purchasing your cards, you should make yourself aware of them. That said, SD cards aren't all created equal,... Read More .) There are two specific programs, for Windows and OS X, that you’ll want to pay attention to. To begin with, if you accidentally delete photos, STOP IMMEDIATELY. Don’t continue working and don’t put the card back in the camera. Instead, put the card into an onboard (or external) card reader. Install either Recuva (Windows) or PhotoRec (OS X). Point the program to your memory card and run it, which should locate deleted photos. Recuva has a simple graphic user interface while PhotoRec is mainly text, but otherwise they work in the same way. Note: For deleted files, search the “Free” space on the memory card. For a corrupt card, search the “Whole” drive. For PhotoRec, follow the on-screen prompts to select a recovery location. Once restoration is complete, the files will be at that location. For Recuva, run the scan and you’ll be prompted to selected which images you want to restore. Once selected, you can designate where the files go. From there, just check the recovery folder and see what you were able to save. In the future, try sending your photos Cloud Storage Remains Competitive - Dropbox & OneDrive Compared Cloud Storage Remains Competitive - Dropbox & OneDrive Compared OneDrive is trying to catch up to cloud storage heavyweight Dropbox. Recent improvements include increased free storage space and raised file size caps. OneDrive has turned into a viable alternative, but is it better? Read More to the cloud for safe keeping before attempting to edit and delete them from the card. Have you ever had to use a photo recovery program? Which one and why? Tell us your worst file deletion or data loss story in the comments below. Active@ File Recovery performed well for me when Recuva couldn't help. They have a free version, but I needed the $30 license. I had this happen a number of years ago. A memory card was formatted (CF not SD) by mistake containing priceless photos and videos of our son's birthday party. I was able to use a tool similar to these to recover the photos, but nothing could find the videos. So I did what any good programmer would do, I wrote my own. Naturally, the first thing I did was use dd to extract a bit-for-bit image of the card. Then, after learning both the FAT file system and AVI/MJPEG video formats, I was able to reconstruct the videos. I think I ended up with a few dropped frames, but those were nearly unnoticeable and the wife was much happier. Of course I uploaded the code for safe keeping on Google Code, only to be forced to migrate it to GitHub last year. Now it sits for all eternity (or until GitHub shuts down and I have to move it again). Recuva is pretty good. I also have a really tiny free program called Restoration that I keep on a flash drive. This way it can be run on a hard drive without changing anything on the drive.